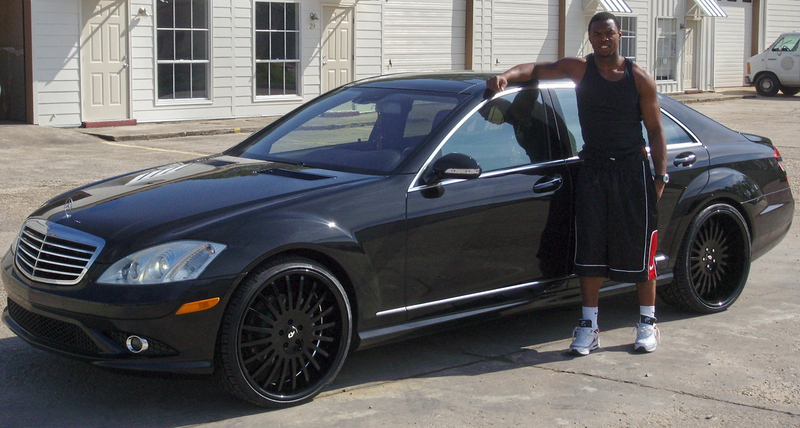 Early Doucet, the star wideout from LSU who is now on the NFC Champion Arizona Cardinals, is standing here infront of his all black Mercedes-Benz S550 with all black 22″ Forgiato Andatas. He had his car customized at Signature Rides in Baton Rouge, Louisiana. I think if he was going to go with this look, he should have went all out. Black grill, black tints, and powder coat the chrome moldings black. It is still a pretty good looking car.